Congratulations to team Fauquier for winning the 2016 Falcon Duals. 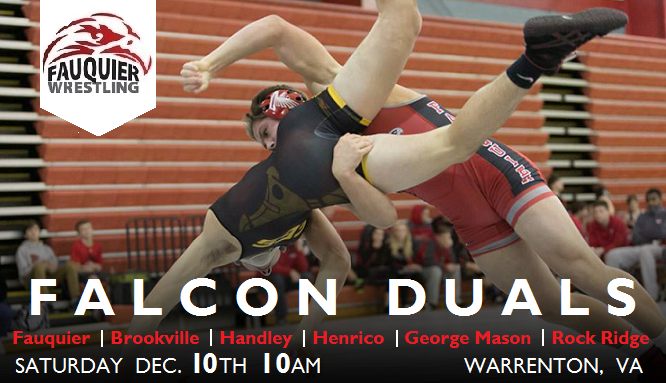 Fauquier had 5 wrestlers win the Falcon Duals. Fauquier defeated Rock Ridge 66-9. 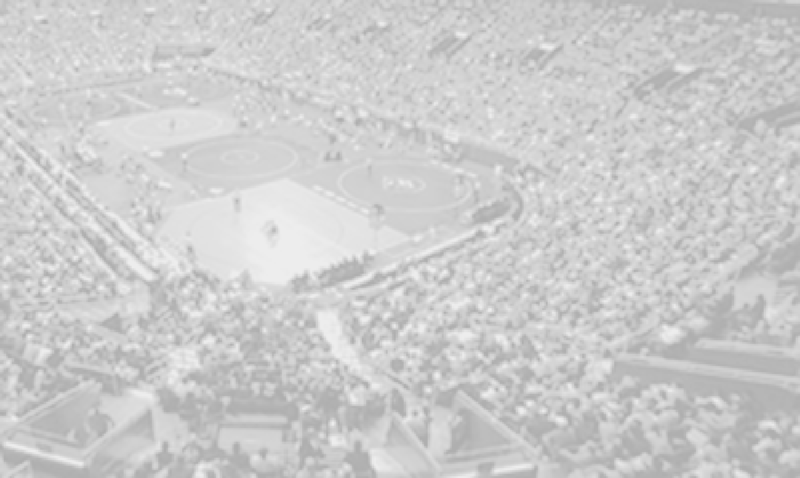 John Handley defeated George Mason 64-6. Rock Ridge defeated George Mason 72-12. Brookville defeated John Handley 45-27. Fauquier defeated George Mason 69-6. Brookville defeated Rock Ridge 48-24. John Handley defeated Henrico 66-18. Rock Ridge defeated John Handley 51-19. Henrico defeated George Mason 42-21. Fauquier defeated John Handley 54-18. Rock Ridge defeated Henrico 75-6. Brookville defeated George Mason 52-6. Notes: Team Fauquier went 12 -1 with 8 pins and one fort. Notes: Team Fauquier went 13 -0 with 5 pins and 8 fort. Notes: Team Fauquier went 12 -1 with 3 pins and 8 fort. Notes: Team Fauquier went 7 -6 with 2 pins and 2 fort. Notes: Team Fauquier went 10 - 3 with 5 pins and 1 fort.